^ Wapiti Ranger Station. 美国地质局地理名称信息系统. [2013-08-31]. 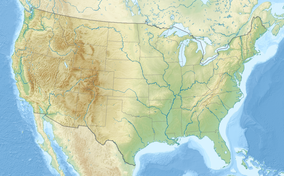 ^ Land Areas of the National Forest System (pdf). U.S. Department of Agriculture. 2011-09-30 [2013-08-31]. ^ National Visitor Use Monitoring. U.S. Department of Agriculture. [2013-08-31]. （原始内容存档于2014-01-06）. ^ Welcome to Shoshone National Forest. U.S. Department of Agriculture. [2013-08-31].